Fanfare is Harvard’s only Music Booster Organization. Fanfare is a non-profit association of parents and community members organized exclusively as a booster organization that supports the music programs in the Harvard Public Schools. 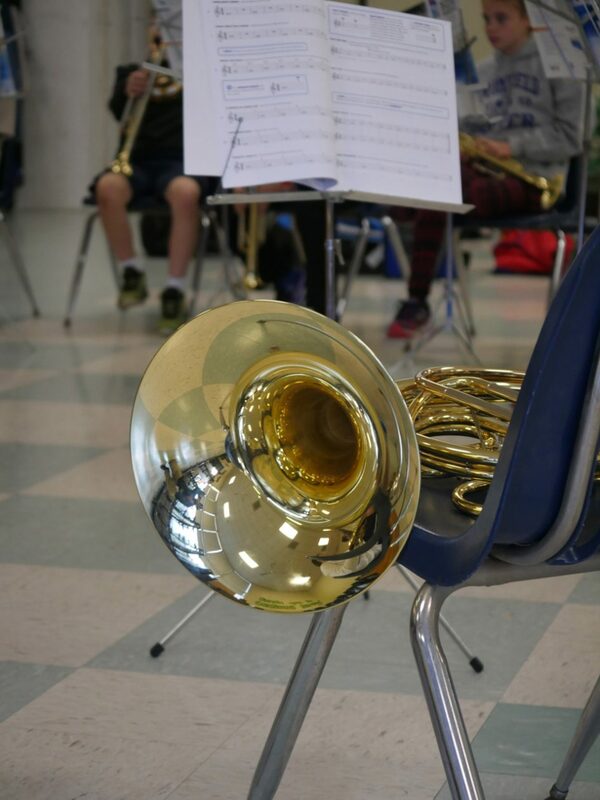 Fanfare provides financial support in the form of grants and scholarships and benefits students participating in curricular or extracurricular music programs at the Bromfield and Hildreth Elementary Schools. Grants have included purchases for sheet music, instruments, recording equipment, microphones, and music department infrastructure. Grants have also provided music programs, performers, offset costs for transportation/food/lodging to music festivals and other musical enrichment opportunities. In addition to monthly board meetings during the school year, Fanfare continues our tradition of offering unique access to Boston’s finest Jazz Musicians through our Sunday home concert series. The proceeds from these concerts are just another way we raise funds to support the music departments in the Harvard Public schools. Thank you for supporting the Fanfare Tri-M Holiday Plant sale. The 1931 Steinway returns to Bromfield for its debut concert! Breaking News - Piano restoration begins!